Roo’s mom and dad grew up with Halloween in small towns. They’d trick or treat in neighborhoods walking up driveways or front walks and ringing the doorbell, as is typical. But the only Halloween Roo, Benny, Josie, and Charlie know is the NYC Halloween. First Charlie and Josie insist on attending the Halloween edition of martial arts practice. Instead of the usual training, they play an hour of games. You can wear face paint or a mask if you like. Then they put all-or most- of their costume on and as they walk back home to eat some quick dinner before “real trick or treating “ (while Roo lives in a 24 story building, mom and dad’s historical sense of trick or treating brings them to select neighborhoods of town homes where the kids can ring the bell on the front door and shout “trick or treat”). 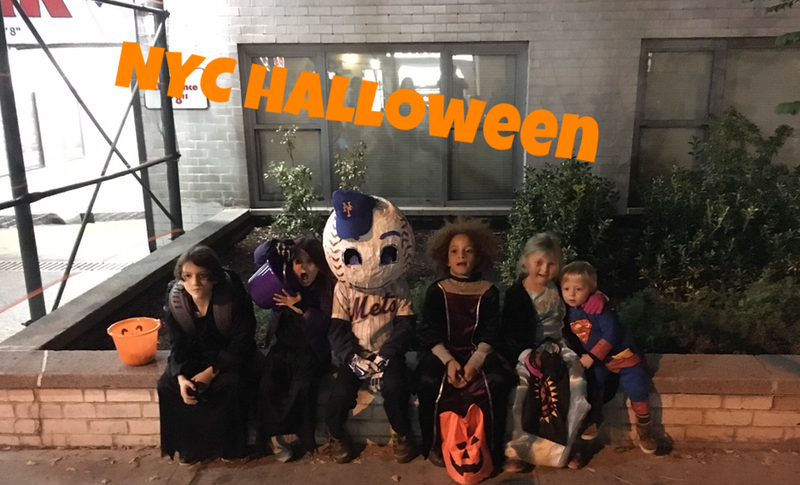 But on the trip home from martial arts, they stop in restaurants, bodegas, doorman buildings, even dry cleaners along the way in search of candy. Despite living in the food delivery capital of the country, Roo’s family (for whatever reason) has always picked up food they order. In 10 years, not once has a delivery person rung the bell (except in error). On Halloween, that means all the restaurants they frequent know the family well and every year their weekly sushi place pulls some special Japanese candy out and the Chinese restaurant across the street digs into a mysterious cardboard box for something exotic. (The boys end up trading it all to Josie). Roo’s dad was never one of those Halloween fanatics; the house never covered in webs and ghouls but he always retain some belief that costumes should be at least partially homemade. Age 0: “Do babies need to dress up for Halloween?” Asked mom and dad. But Charlie’s Oma has sent a pumpkin costume. So they put him in it, snapped some pictures, and plopped him in the front pack to pick up dinner. Age 1: The first of DIY costumes, this one was atypical. Dad made a bunch of little bird’s eye view illustrations of runners, fans, police, motorcycles, signs, barricades. He laminated them and velcroed them to Charlie’s pants and shirt. Why? Well, their apartment (then and still) looks over First Ave and Charlie (then Josie, Benny, and Roo) all love to cheer the runners on that first Sunday in November. Also, mom and dad used to run marathons. Before injuries. Before kids. And NY was mom’s favorite. 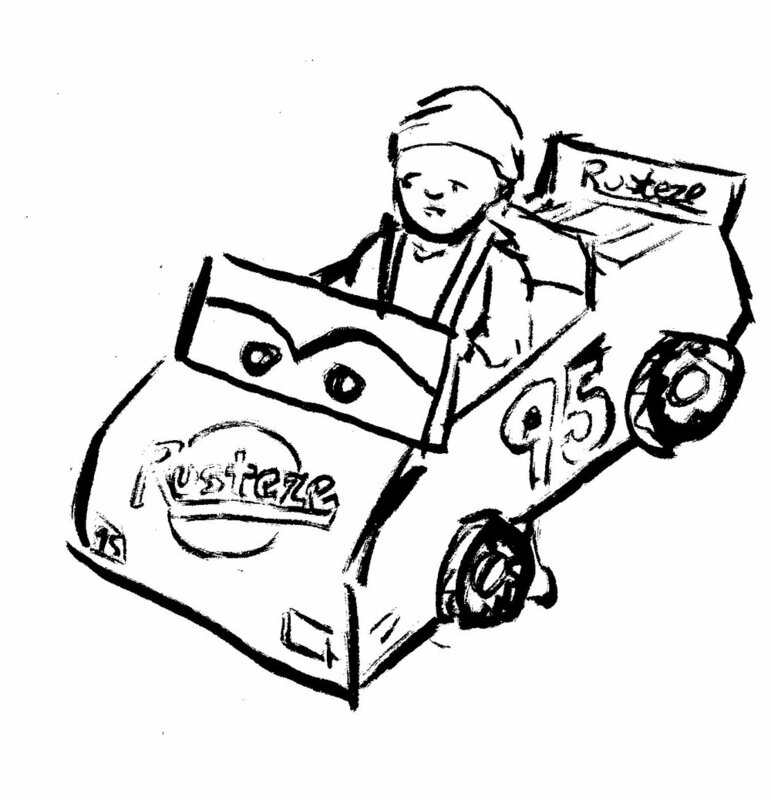 Age 2: When Dad constructed this one from cardboard, spray paint, and laminated illustrations of decals, he had in his head the unreal expectation that he’d continue to top this effort in subsequent years. That it would be “his thing.” Really, the exceptional effort lasted only that one Halloween. Age 3: This Octonaut costume was also a total DIY, but not quite the production of the prior year. But, it did test Dad’s rudimentary hand sewing skills as the eyes, mouth, ears, hat were all sewn onto to Capt. Barnacles’s ski hat “face”. Charlie wore that hat to preschool EVERY day from Halloween into mid-April. At the last moment, dad threw together a Kwazi Kitten costume for One year old Josie. Age 4: Grandma searched every thrift store in upstate New York for the right Bob the Builder shirt. Age 5: The Star Wars obsession invaded all aspects of life for a year and a half. He went classic Sith. It was not DIY. Age 6: Star Wars gave way to super heroes. And over his store bought suit, he wore custom cardboard armor. Age 7: (Here comes baseball) The magical Mets season of 2015 and the late run to the wild card game in 2016 (and the fact that some Mets lived in our building for a time) , made Charlie a committed and optimistic fan. 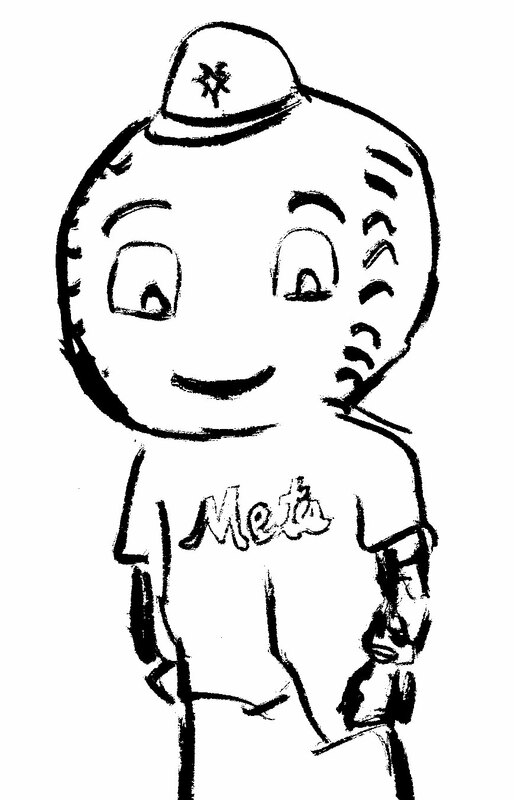 He and dad bought a giant balloon and made a papier-mâché Mr Met head. Please share any spooky/funny kids stories in the comments below.